The ancient civilisations of the Greeks and the Romans are the foundation for our society. What is more exciting than to become a participant of their history and experience the world they lived in. Ancient coins are the oldest mass-communication medium and often true Works of art in gold, silver and bronze. Are you interested in ancient coins or perhaps even a collector? 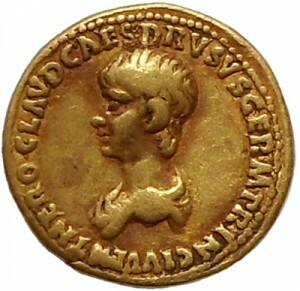 We can certainly recommend a visit to the webshop of Agora Numismatics. Here you can buy roman coins online. Agora Numismatics is specialised in high grade Greek, Roman and Byzantine coins. This not only guarantees you the pleasure of owning a piece of history, but it also means that the value of your investment is retained when the time to sell has come. The goal of Agora Numismatics is not only to buy roman coins and sell other ancient coins. We also like to share our knowledge about coin collecting. This we do ofcourse through our website, but also by giving lectures and publishing numismatic books. We are also participating in various antique- and coin-fairs. Through our international contacts we have access to private-sales and -collections that do not appear on the open market. Thus we always have an ample selection of rare and unique coins. All our coins are guaranteed indefinitely. Every coin features a Certificate of Authenticity and has a clear pedigree. Have you become curious? Please look at our offer online. We’re more than happy to advise you. So don’t hesitate to contact us and follow us on Facebook, we would like to make your acquaintance! Together we hope that we can transfer the passion for ancient coins to others.